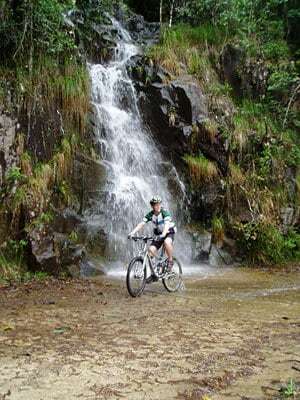 Eight unforgettable days of cycling: climbing through the rainforest covered mountains in the Wet Tropics area between Innisfail, Ravenshoe and Cairns. Over 500kms on mostly remote dirt roads with minimal traffic. Spectacular scenery including waterfalls and gorges, rainforest and open forest, hard to access country that many locals have not seen. An intimate and friendly ride with a maximum of 65 riders. Fresh home-cooked meals and free scroggin. Charity event to support the work of CAFNEC. One of the best wilderness bicycle tours in Australia, the Far North Wilderness Bike Tour attracts riders from throughout the nation and internationally.